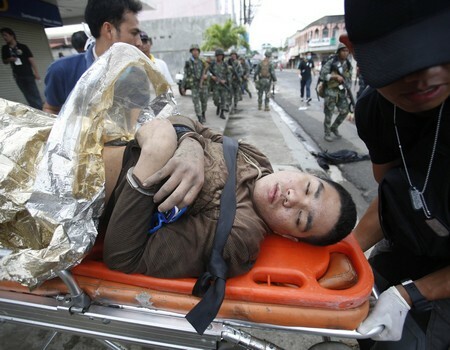 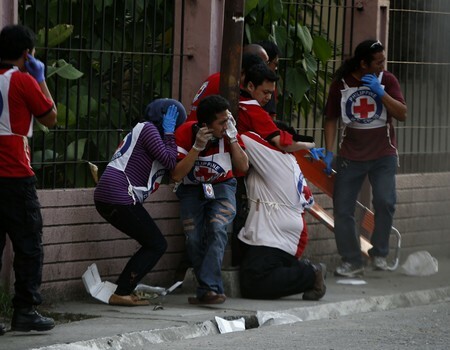 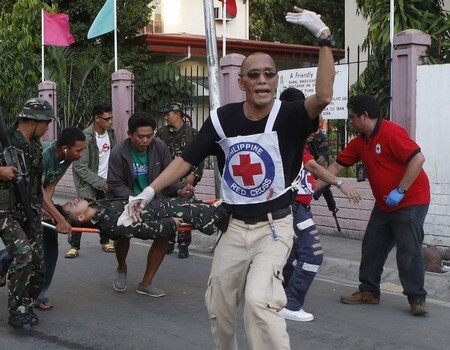 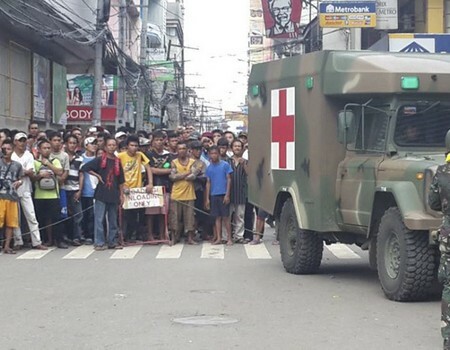 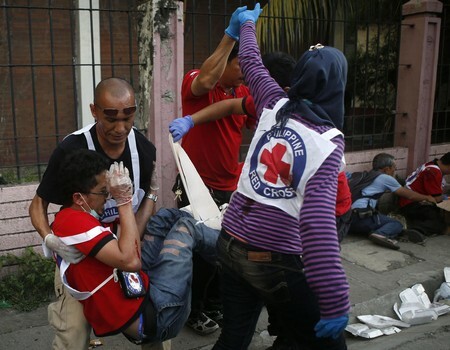 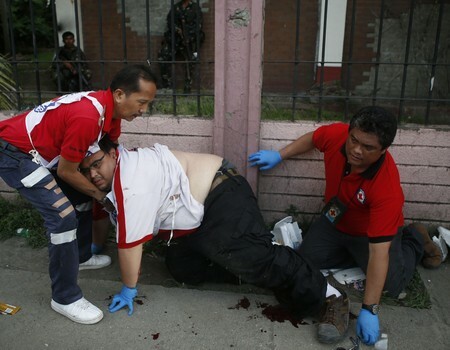 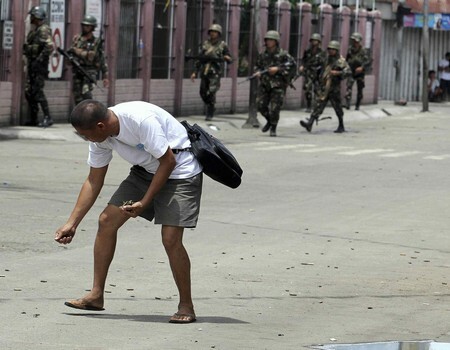 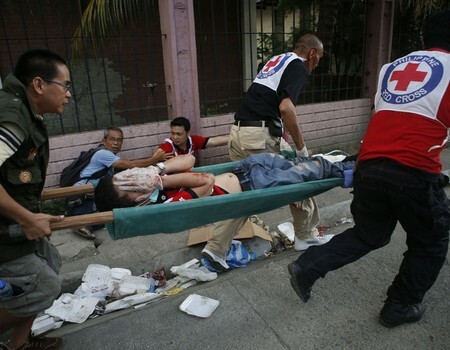 Medics help wounded soldiers during fighting between troops and Muslim rebels in Zamboanga. 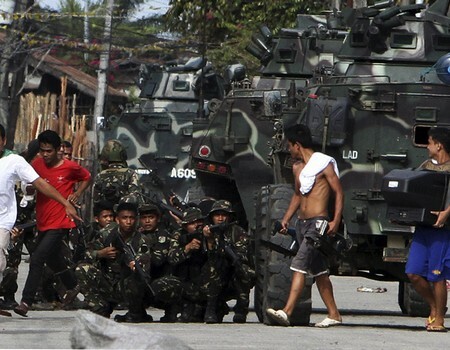 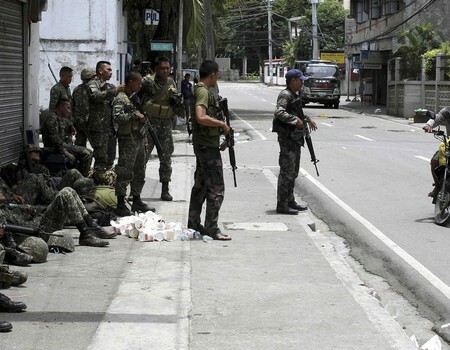 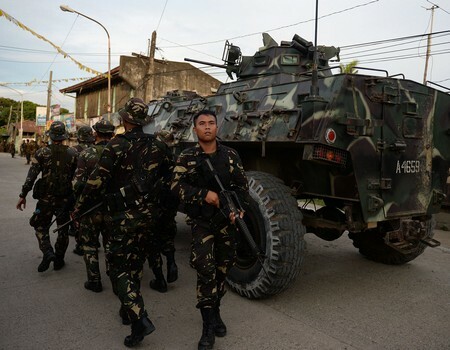 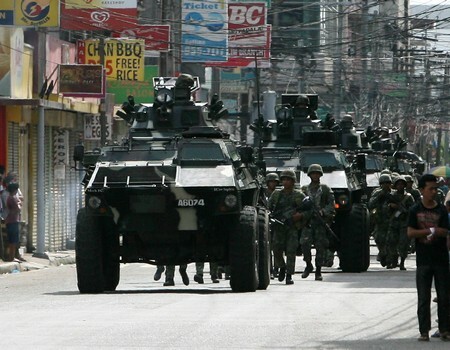 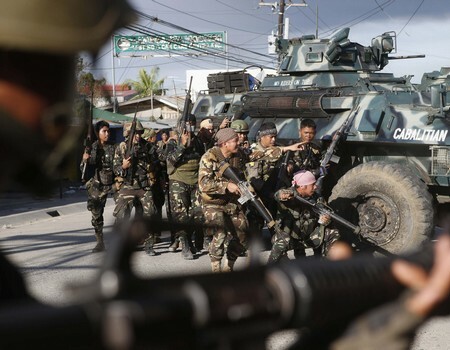 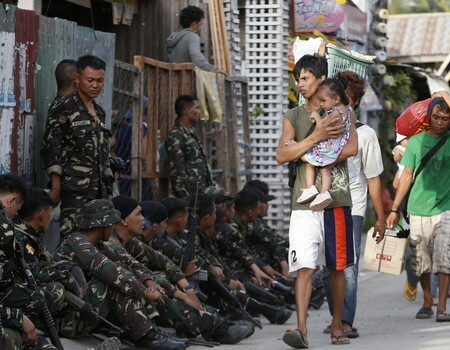 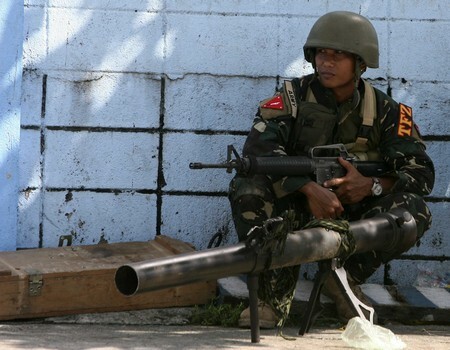 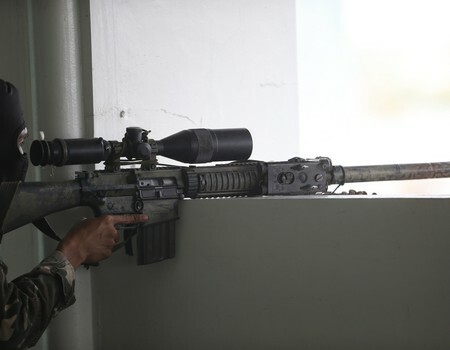 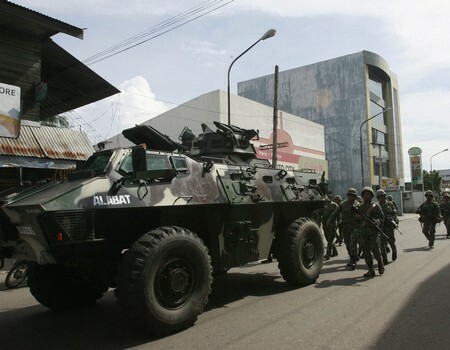 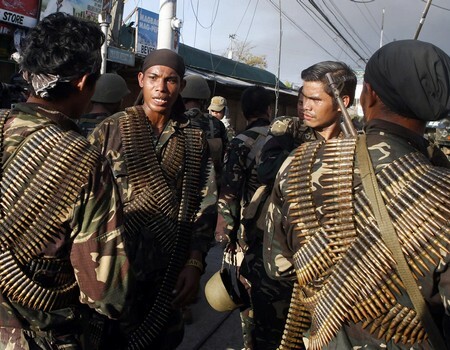 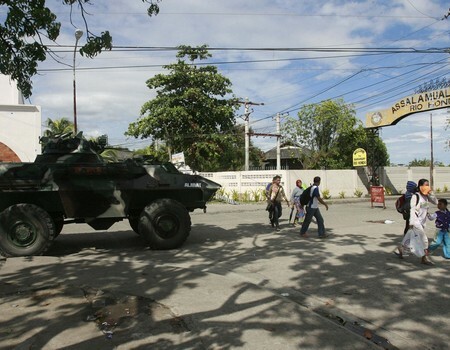 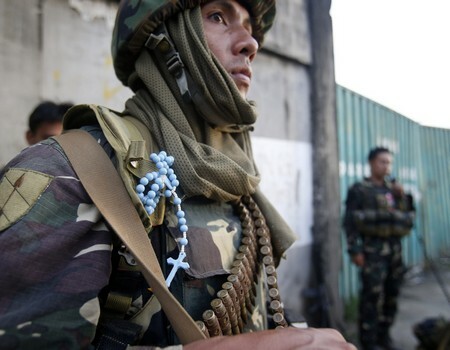 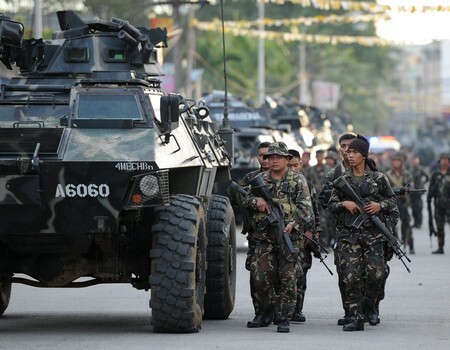 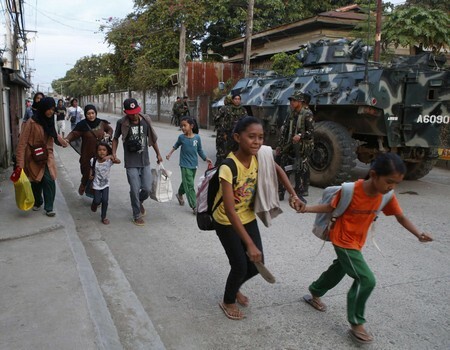 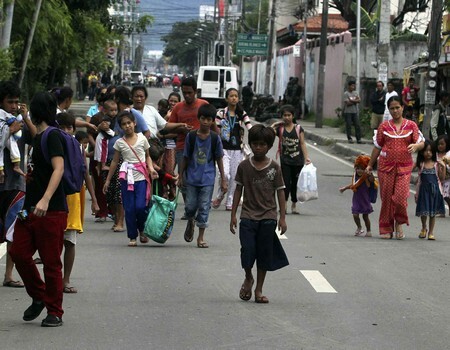 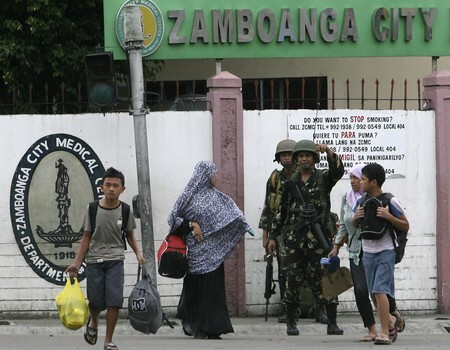 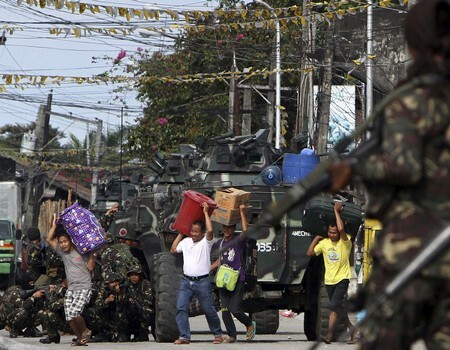 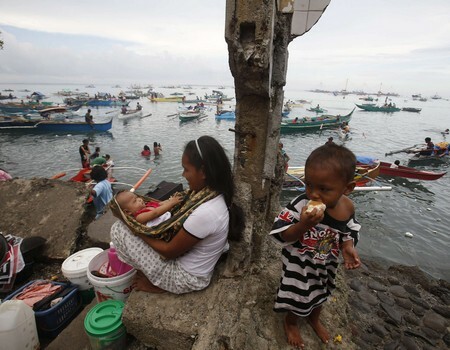 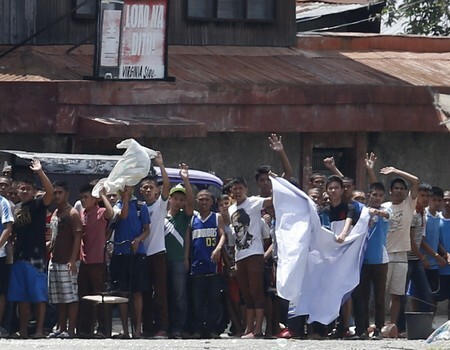 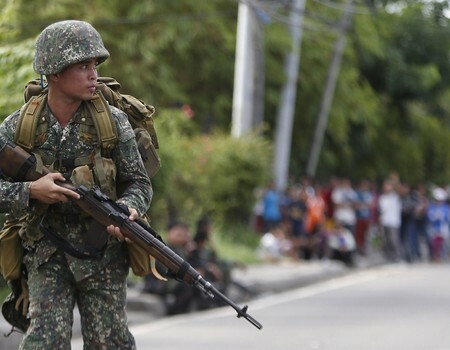 ZAMBOANGA, Philippines - Philippine troops took back ground from Muslim rebels Sunday, the military said, as they tried to end a week-long siege in the southern city of Zamboanga that has seen thousands flee and left more than 60 people dead. 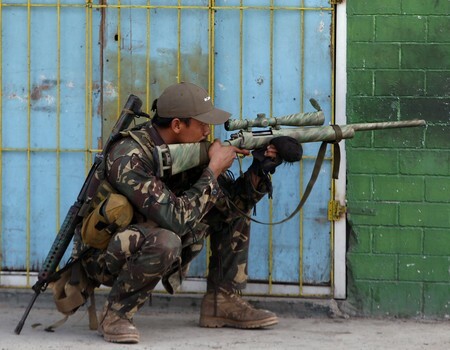 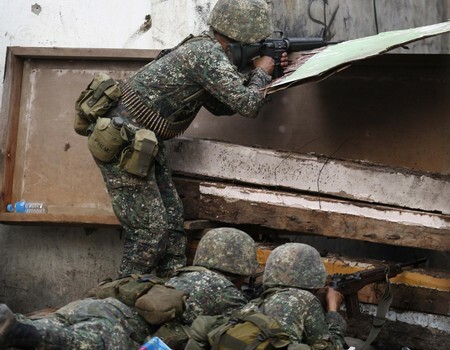 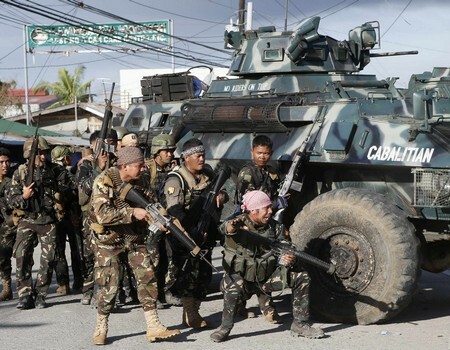 Sporadic clashes continued as soldiers moved to clear Moro National Liberation Front (MNLF) gunmen from coastal neighbourhoods and cut off escape routes after a ceasefire plan collapsed. 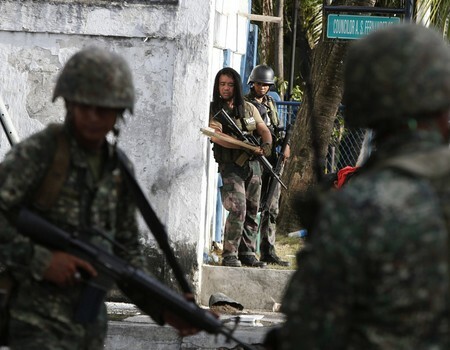 Military spokesman Lieutenant Colonel Ramon Zagala told AFP a number of MNLF rebels had surrendered Sunday, and some had been captured while trying to escape in civilian clothes. 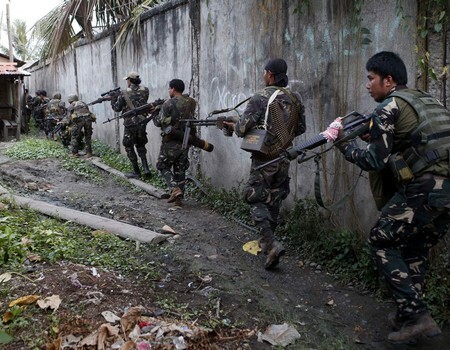 "We are gaining ground. 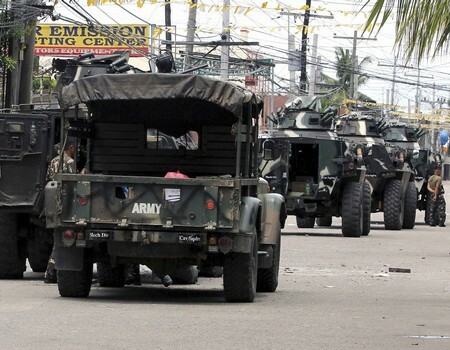 We've taken back some of the areas from them. 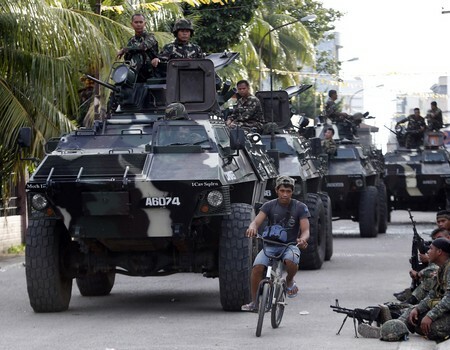 We are still moving forward," he said. 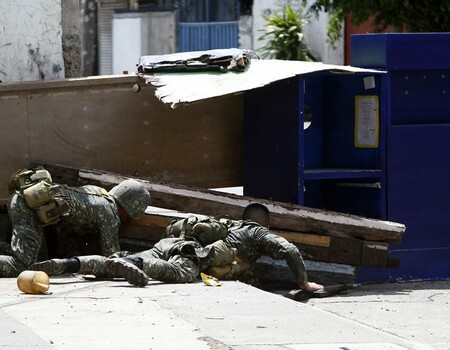 As troops moved through the Santa Barbara district, the extent of the damage from seven days of fighting came into full view. 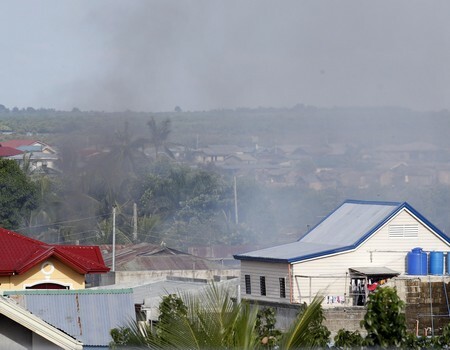 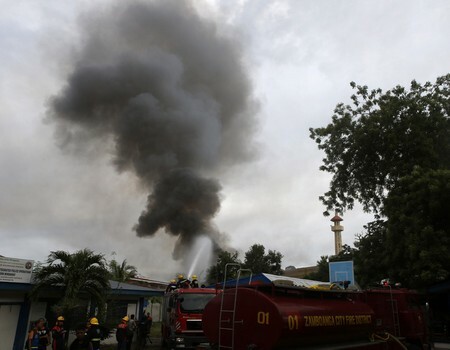 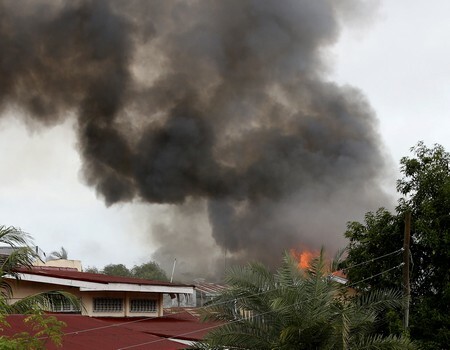 Several buildings were reduced to smouldering heaps while others were pockmarked with bullet holes, an AFP reporter said. 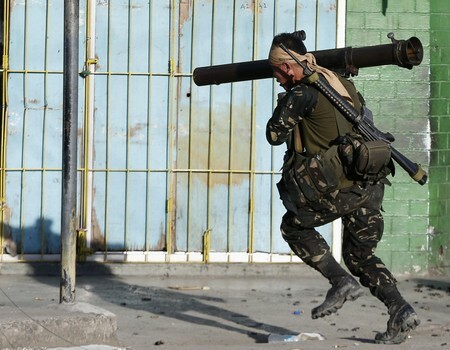 Soldiers recovered the bodies of two slain gunmen still clinging to their rifles, and several unexploded warheads for use in rocket propelled grenades had been left behind by the fleeing rebels. 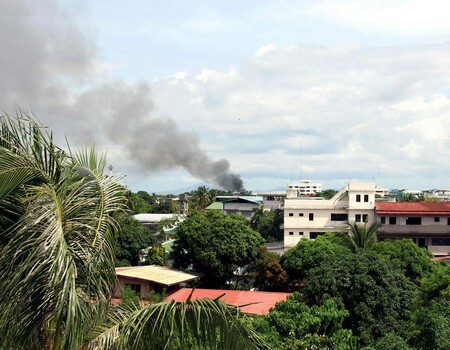 In the distance, black smoke billowed from another area that had just gone up in flames. 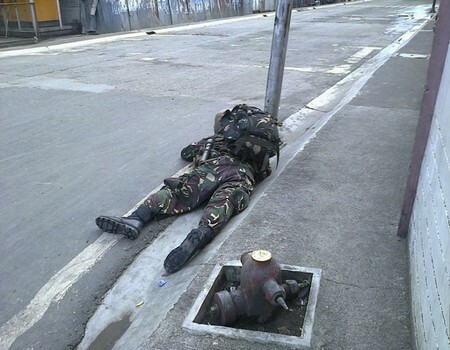 And in a nearby district, a group of soldiers could be seen crouched on the street as sniper fire whizzed just above their heads, television footage showed. 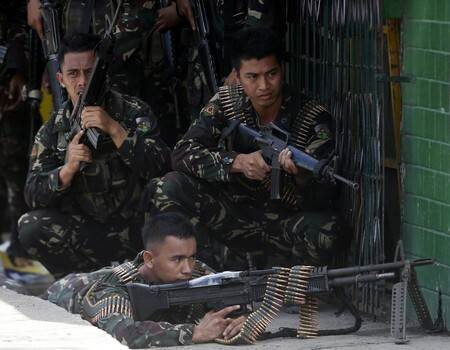 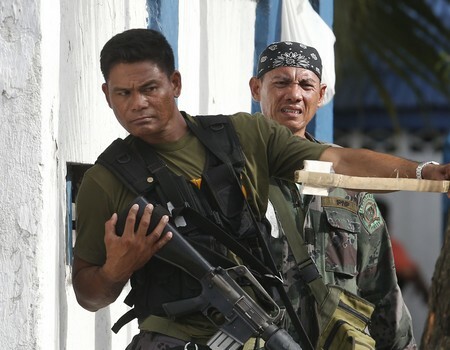 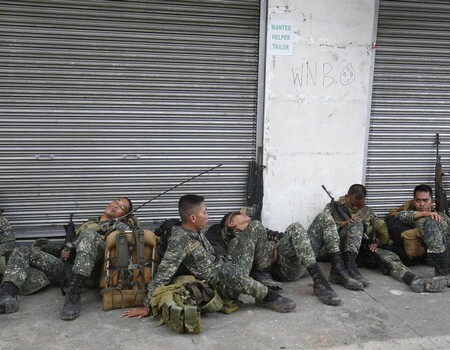 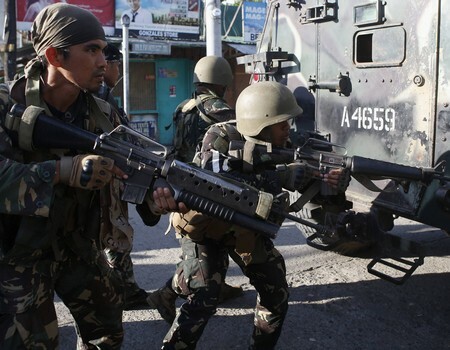 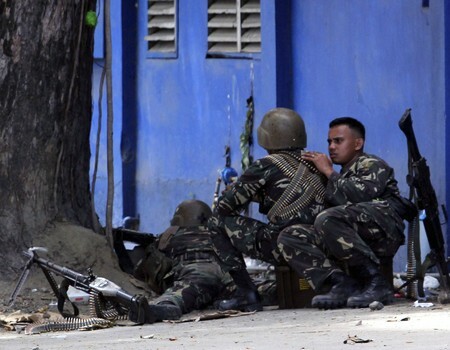 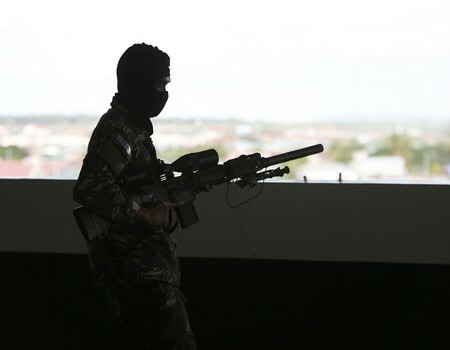 Heavily armed MNLF forces entered the port city's coastal neighbourhoods Monday and took dozens of hostages in a bid to scupper peace talks between another militant group and the government aimed at ending a decades-long rebellion in the south.